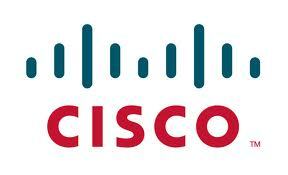 / Cisco Launches “The Network” – Is This The Corporate Press Room Of The Future? Cisco Launches “The Network” – Is This The Corporate Press Room Of The Future? For the last few years, Cisco has continued to change the shape and future of the technology industry, but yesterday they turned their attention to the public relations world with the launch of “The Network.” Simply put, it is Cicso’s revamped newsroom, however in true Cisco fashion it has a few more elements. The site is sectioned off into core areas of business for the company including Data Center, Core Networks,Video, Collaboration, Cisco Culture, and Social Media, with each section having a dedicated “page manager” to ensure that there is someone monitoring all content and engagement throughout the site with the goal of keeping things focused, fresh and compelling. Right out of the bat the site has included eleven contributors made up of Cisco staff as well as well-known technology journalists like Steve Wildstrom (BusinessWeek), Mark Gunther (Fortune), and John Carey. What are you thoughts on the site?